Last crucial reconstruction of the Belgrade Gate was performed between the two world wars, when it got its present appearance. The next update was made at the beginning of the 1990s, when the exterior facade was actually only whitewashed! And during all this time, this symbol of the city and the cultural monument which is older more than two centuries is probably exposed by the the largest load in the city. According to some estimates, through the two passages at the Belgrade gate daily passes about 20,000 vehicles, and shortly after the NATO bombing of Novi Sad, this number was much greater. Due to the traffic load, the big problem is the work organization itself. But, as we found out at the Institute for Protection of Cultural Monuments of Novi Sad, which has built this reconstruction project, the most important works have been completed. Slobodanka Babic from the Institute for Protection of Cultural Monuments of Novi Sad says that the repair of the upper gate is made. In the Capital Investment Fund of the Autonomous Province of Vojvodina, one of the main financiers of the project, are not satisfied with the work progress, and as one of the main reasons for that they see the delay in the selection of contractors, and the submission of documentation and permits. In Public utility company “Commercial property”, the investor of the project, say that the work continued, and this is confirmed by the contractors, the Belgrade-based company “Ornament Investinzenjering”. Deadlines for completion are not specified because they depend on the dynamics of cash flow. The entire project will cost about 35 million RSD. Until now, the entire amount was paid only by Banca Intesa. 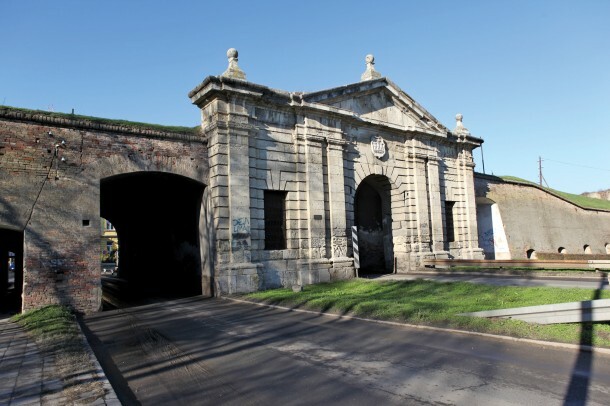 On their open competition, “The place I love”, Belgrade gate is selected as one of the three objects of cultural and historical heritage to be reconstructed. Other funders, the City, the Province and the Republic of are late with payments.